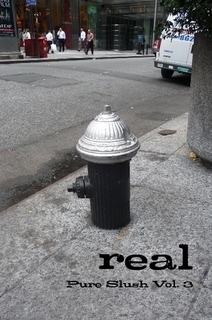 My short, nonfiction piece “Fly the Friendly Skies” was accepted for inclusion in the forthcoming anthology real. I am SO excited to be included in this group of writers, and most humbled and honored by all of it. Thank you so much Editor/Publisher Matt Potter! For a peek, click on the link below. Congratulations, Michael. I’m so proud!!! Wow! Congratulations Mike. That�s really great news. I will try to read the story later in the week. *From:* Your Own Back Yard ~ Writing and Art ~ Michael Gillan Maxwell [mailto:comment-reply@wordpress.com] *Sent:* Monday, October 01, 2012 4:26 PM *To:* dan@dmcloughlin.com *Subject:* [New post] �Awesome� Alert! Thanks Dan! The piece won’t be on here as it is being published in one of those arcane objects from the recent past called a book! 😉 I’ll shoot you a PDF after publication at some point when appropriate. Congrats to you! Very, very cool. Can’t wait to check it out.